Mattel, the maker of the iconic plastic doll, said it will begin selling Barbie with three new bodies - curvy, tall and petite. The doll will be available in seven skin tones, 22 eye colors and 24 hairstyles. Time magazine, which first reported the changes, touches on the topic with the headline, "Now can we stop talking about my body?" The doll has changed in some ways already. New skin tones and looks were added last year. And Barbie's foot was movable for the first time, allowing her to kick her heels off and wear flats. Mattel has been searching for ways to recharge sales of Barbie, which fell 4 percent in the most recent quarter as "want lists" from girls increasingly include iPads and other things. Whether kids will pick up the new dolls remains to be seen, though Chidoni said previous changes were "positively received." Mattel would not provide sales figures, but some marketing experts say more will have to be done to return Barbie to glory. "The look of the dolls is great," said Marc Rosenberg, a marketing consultant in Chicago that has worked in the toy industry for 25 years. But in order to connect with kids, the new dolls need to be added to Barbie YouTube videos, apps and shows, said Rosenberg. Dolls with the new body are available for preorder at shop.mattel.com, and will ship in February. They will start to show up on U.S. store shelves in March and roll out in the rest of the world after that, Mattel Inc. said. Truly great what this company is starting to do. Making barbie more realistic and with multiple different skin tones so that girls don't feel as pressured at a young age to look "Perfect" in the medias eyes. It is great to see that the impact of many people through deliberation are able to make a difference in young women lives. Civic engagement at it's finest, people coming together to support the better good. I think making new barbies would be good because almost all the barbies are white. And some of the girls in the United States are African-Americans and they might want to play with dolls of their skin color. It would be a great idea to have dolls of your own skin color and play with them like if they were part of your family. Mattel has recently announced that they have began production of new Barbies that resemble humans more than previous iterations. The new dolls will have multiple different skin options, body types, hairstyles, and eye colors. 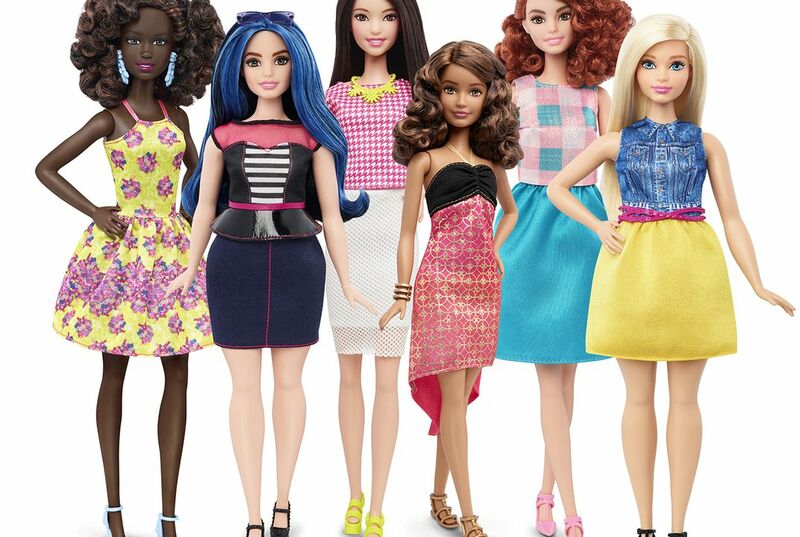 Original Barbies will still be available to consumers along with the new ones. Mattel is hoping that redesigning the classic toy will improve sales which fell significantly in the fourth quarter of 2015. Mattel has begun to pay more attention to the wants of its consumers. The reasoning behind the new Barbie relates to complaints made by consumers in regards to the unrealistic proportions of previous dolls. Civic engagement was demonstrated by consumers expressing their disapproval of an unrealistic representation of humans. Mattel answered the complaints of their consumers and believe it will help the brand as a whole. I'm glad Barbie is finally realizing some realistic body standards but I still feel as if they are ignoring many kinds of people. I am an emo girl, and I see no emo/metal/rocker barbies. Mattel is allowing Barbie to wear flats to expand the variety of clothing of the Barbie dolls, Also to catch the eye of girls and make it seem more realistic and interesting to their eye. I think that the body changes in Barbie dolls is good! Some little girls are bigger or way littler than other girls their age and they see these babies and want to change their selves to look like these unrealistic dolls. That's why some little girls start body shaming at a very young age and it's getting worse over time! This is the best thing I've ever read and I think that it is a great idea. It is about time that the company realizes that the original barbie was detrimental to some little girls' self esteem and in my opinion, this change was long overdue. I think after all these years this is a great start but for it to be more commonly favored they will have to expand the Barbie selection even more. It's great that they're broadening the appearance of Barbie. Hopefully, they get more sales. It had unrealistic expectations for girls. It allowed them to move faster they could kick of their heels and put on flats.